Have you heard of Shopswell? if you haven’t your missing out. Shopswell is like Pinterest for shopping. If you’ve ever clicked on a product from Pinterest, only to be disappointed when you’re not able to buy it or even find that product on the link that opens, you’ll love knowing that Shopswell only features products available for sale and even shows you the current price! Creating an account with them is super easy and fast. Once your setup you can create as many shopping lists as you want. Of course I have a decor list called “Home Design with Teal!”, this is where I save all my home decor, furniture, and accessories inspired by my favorite color Teal! 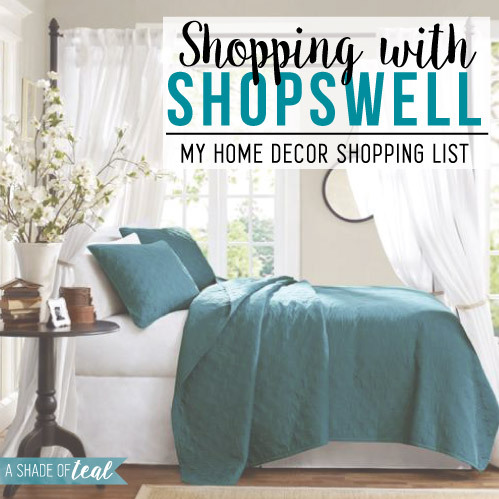 Shopswell has made it fun to discover & share products you love, make & share lists, and track & save on your favorite products. Its truly so convenient to use! You can also follow other shoppers and their shopping lists to get more ideas and inspiration. Here are some of my favorite items I have in my “Home Design with Teal!” list. 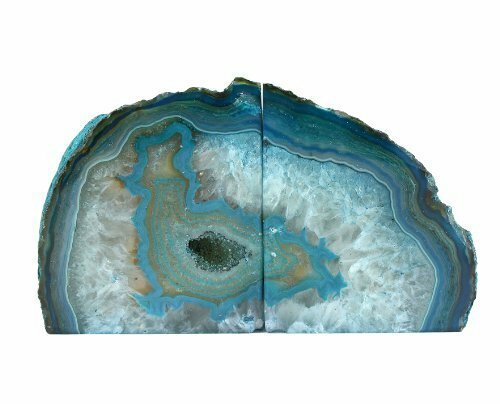 Love this Teal Chevron rug, or these Teal Agate Geo book ends. 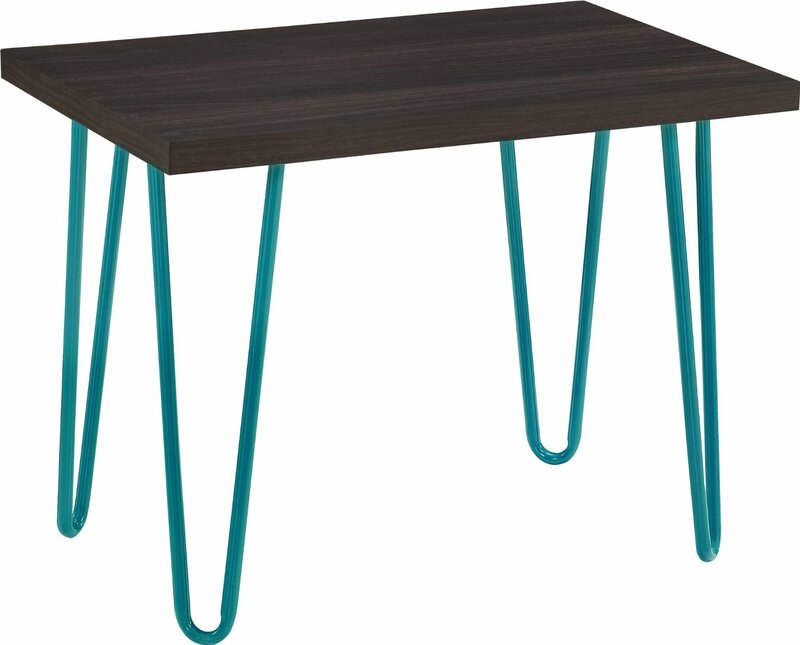 This Retro stool with Teal legs would fit perfect in my home. Another great feature is the Price Tracker. 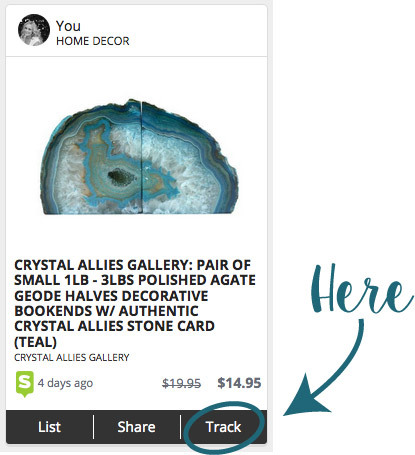 Once you add a item to a list you can then click the “track” button to add it to you Price tracker list. Don’t forget to enter the Shop.Share.Win. Program where you curate and create lists then share them. 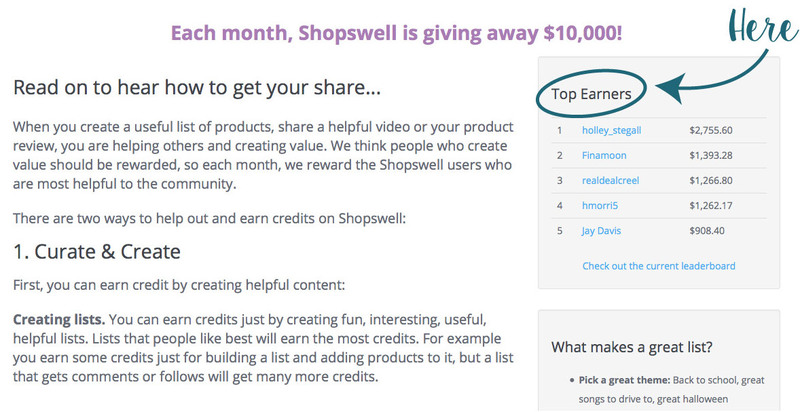 Each month they give $10,000 back to the Shopswell community based on credits earned for helping others. You can get the full details and rules on how to play and win HERE. You can also track the top earners, its updated every 24 hours. Hopefully one day it will be you! So go check out Shopswell, I promise you’ll love it as much as I do! I love this post and the colors. I recently did my master bedroom in this! Thanks Tracy! Teal is amazing!! !